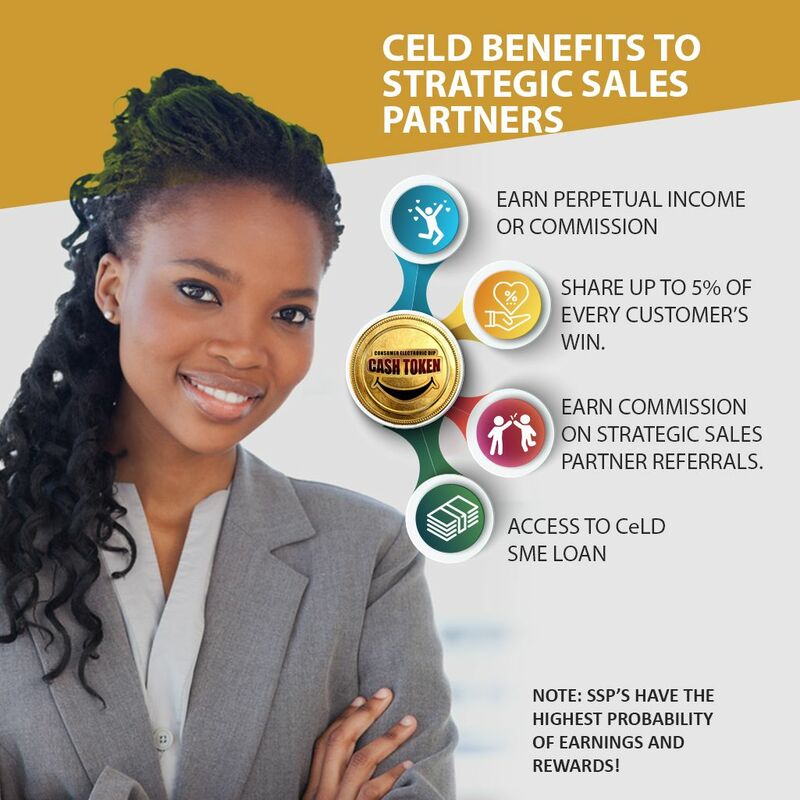 Sign Up - Create your account as CeLD Customer Celebration Partner on the CeLD platform. Set your celebration threshold - The customer Celebration threshold is the minimum purchase amount expected from Consumer to trigger a Cash Token reward e.g. 1 Token on every =N=500.00 spent. Display the cash token sign - Display the cash token sign and communicate that your business celebrates consumers and changes their lives every day. Reward your customers, when they buy from your store - Be as generous with cash token gifting as much as your business can. Create an account on the CeLD Platform. of your prospects for documentation. Sign up a merchant or service provider. Merchants gift the Consumer Electronic Lucky Dip Tokens to consumers who patronize their businesses. 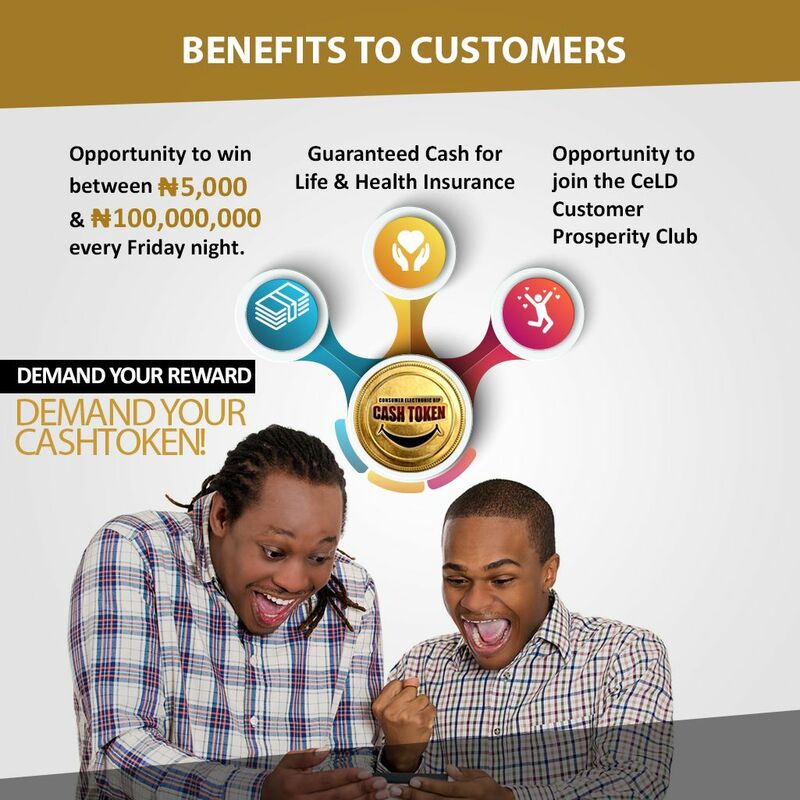 Each Gifted CeLD Token Qualifies you, the customer for up to N100m win and cash usable only for insurance (Partnership with UIC Innovations Limited). 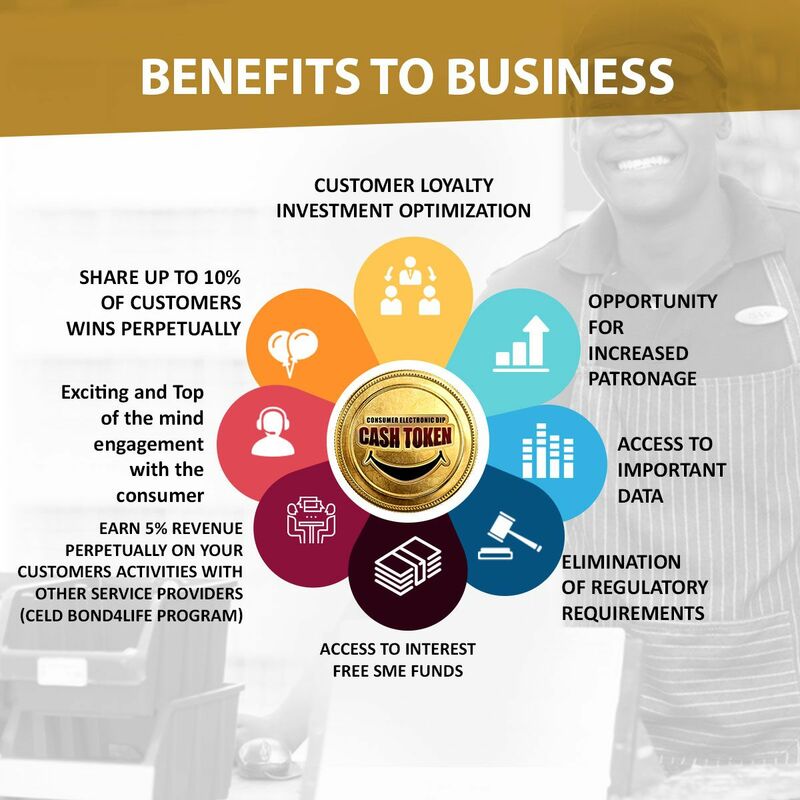 Patronise businesses that offer Cash Tokens as reward.